Coffee cakes are one of my weaknesses. How can you not like a cake that is designed to be eaten any time of day? Who’s with me? If you raised your hand, then I think I’ve just found your baking project for the weekend. I tend to keep a somewhat ridiculous variety of preserves in my refrigerator. 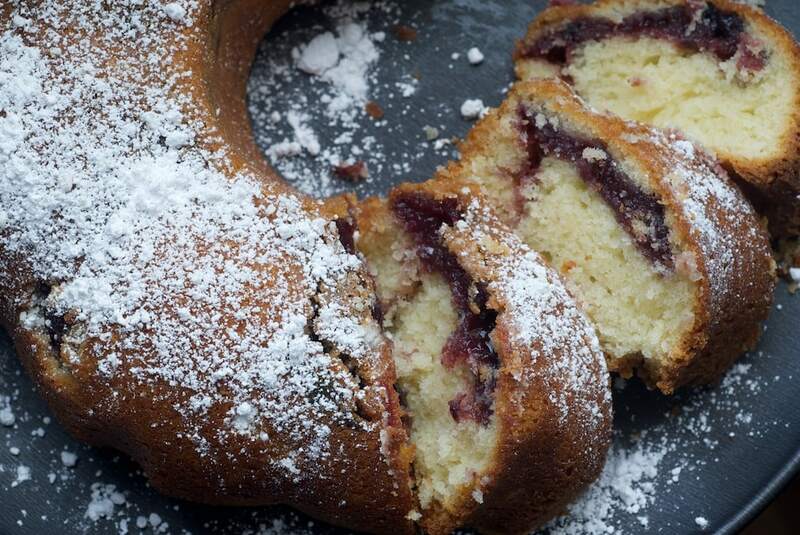 This Black Cherry Sour Cream Coffee Cake is an excellent use of black cherry jam. Or, use your favorite flavor for a simple variation. 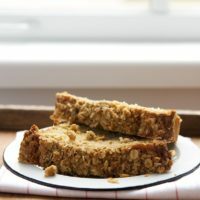 Banana Oatmeal Crumb Cake is a bit of a hybrid of a coffee cake and banana bread. 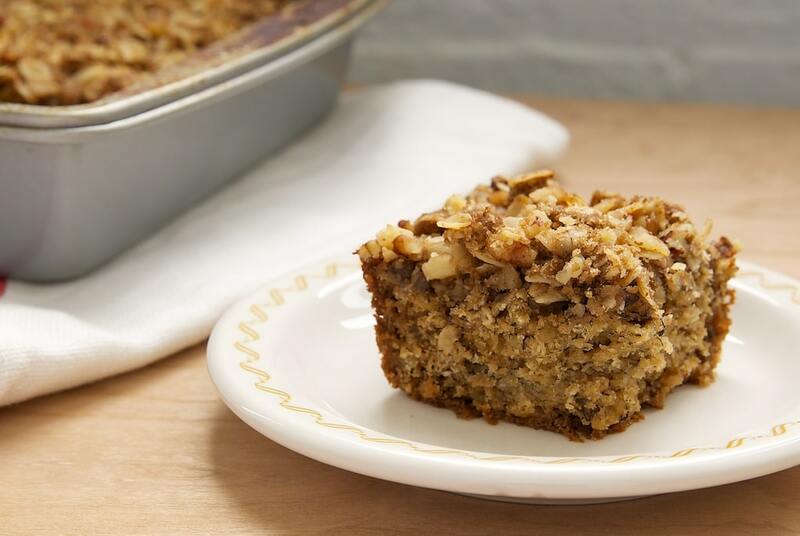 Plenty of oats make this a nice hearty cake. Plus, all the bananas and nuts and brown sugar don’t hurt, either. I love this big, tall Sour Cream Coffee Cake with Chocolate Cinnamon Swirl. The texture, the flavor, all of it is essentially perfect to me. Be warned that this one is hard to resist. 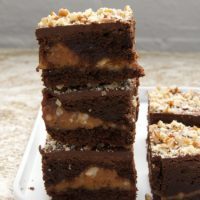 You may find yourself going back over and over for just one more bite. 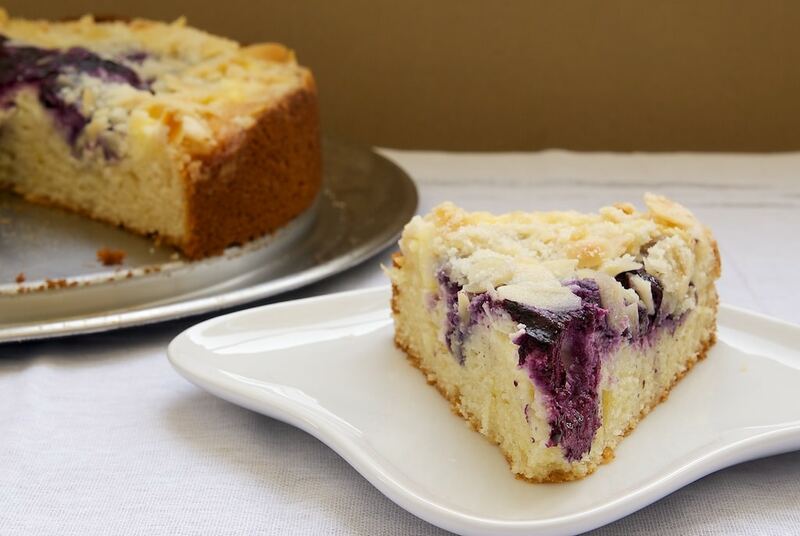 Fresh blueberries and cream cheese really make this Blueberry Cream Cheese Coffee Cake. It’s such a beautiful cake! You can make this one after blueberry season has passed, too, with frozen blueberries. 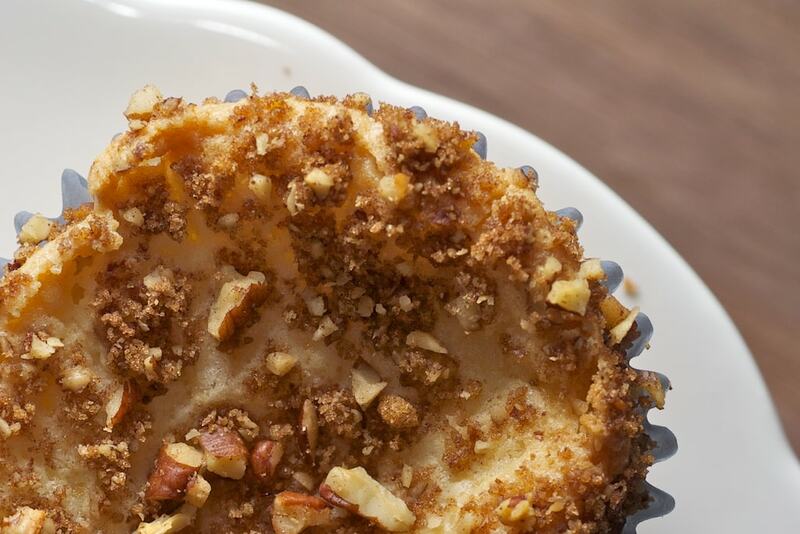 Bake your coffee cake in muffin form with these Sour Cream Coffee Cake Muffins. The usual coffee cake suspects are here – cinnamon, nuts, sour cream. But, you get little portable, single-serving muffins to share. 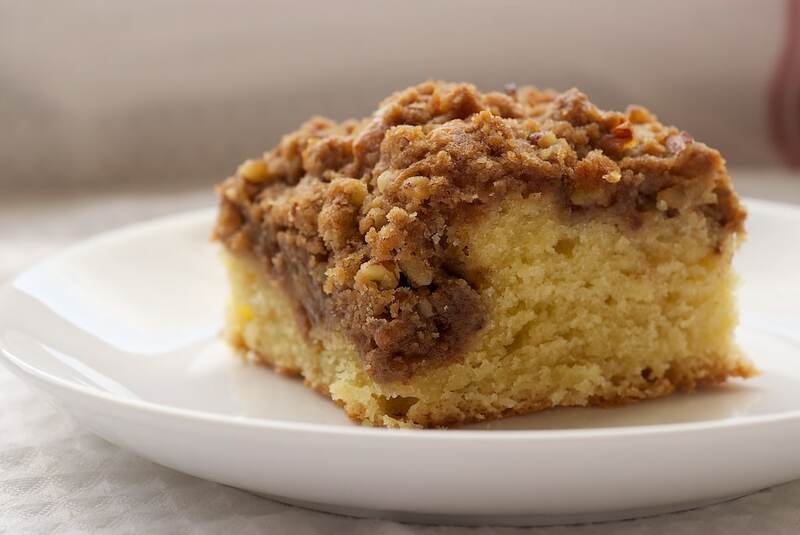 Traditional coffee cake is usually flavored with cinnamon and adorned with a crumb topping. For a bit of a twist on the traditional, a sweet cream cheese swirl is mixed into this Cinnamon Cream Cheese Coffee Cake. 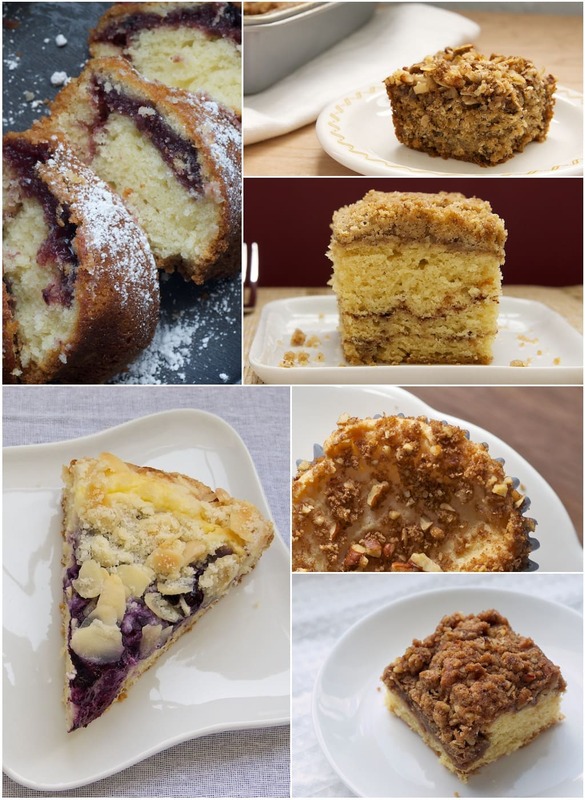 Do you have a favorite coffee cake? Combine biscuit mix, the 1/4 cup sugar, milk and butter; stir vigorously 30 seconds. Turn dough out onto a lightly floured surface; knead 4 or 5 times. Pat evenly in the bottom and up the sides of an ungreased 9 inch round cake pan; set aside. Combine cream cheese, eggs, the 1/2 cup sugar and vanilla extract. Beat at medium speed with electric mixer until smooth. Pour over dough; bake at 350 for 30 to 35 minutes. Remove from oven; let stand 10 minutes. Spread preserves over top. Serve warm. Combine 2 1/4 cups flour and next 4 ingredients in a large bowl. Cut 3/4 cup butter into flour mixture with a pastry blender until crumbly. Whisk together eggs and next 3 ingredients; add to flour mixture, stirring just until dry ingredients are moistened. 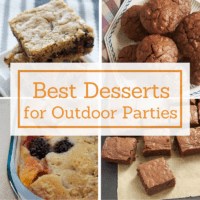 Spread batter into a greased 13″ x 9″ pan. Combine remaining 1/2 cup flour and brown sugar in a small bowl. Cut remaining 1/4 cup butter into flour mixture with pastry blender. Add pecans, pressing streussel mixture between fingers until large clumps form. Sprinkle streussel over batter in pan. Cut butter into flour and sugars until crumbly. Set aside 1/2 cup To remainder, add buttermilk, soda, egg and vanilla; beat well. Pour 1/3 batter into well greased and floured 9-cup Mini-Bundt pan. Combine reserved mixture, candy and nuts. Sprinkle over batter. Alternate remaining batter and candy nut mixture. Bake at 350 for 35-45 minutes. These sound great, Shelly. Thanks so much for sharing! Yum! I’m going to try these too! 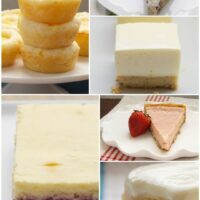 I love coffee cakes as well, moist, soft and so delicious! 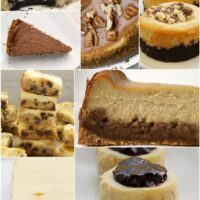 I LOVE coffee cakes also-and all of those look AMAZING!!!!! 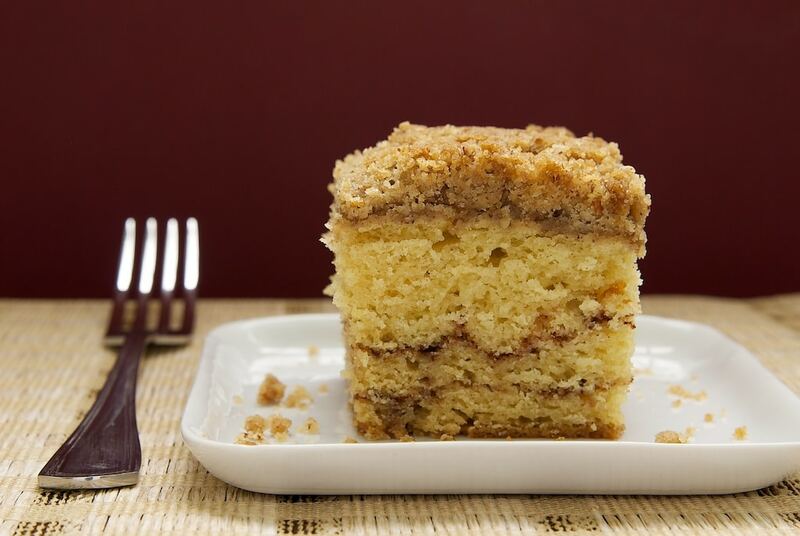 The black cherry sour cream coffee cake reminds me of a special coffee cake made just for me one Mother’s Day years ago. It arrived with a delicate sprinkle of powdered sugar, too. Using your recipe, I can now make one for myself! Abs, the amount of flour should work fine. How do you measure flour? Do you weigh it or scoop it? 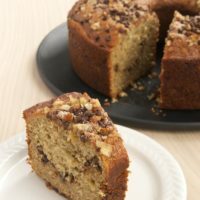 ahhhh I love a good coffee cake!!! Ohhhh MY!!! These look all soo delicious!! !